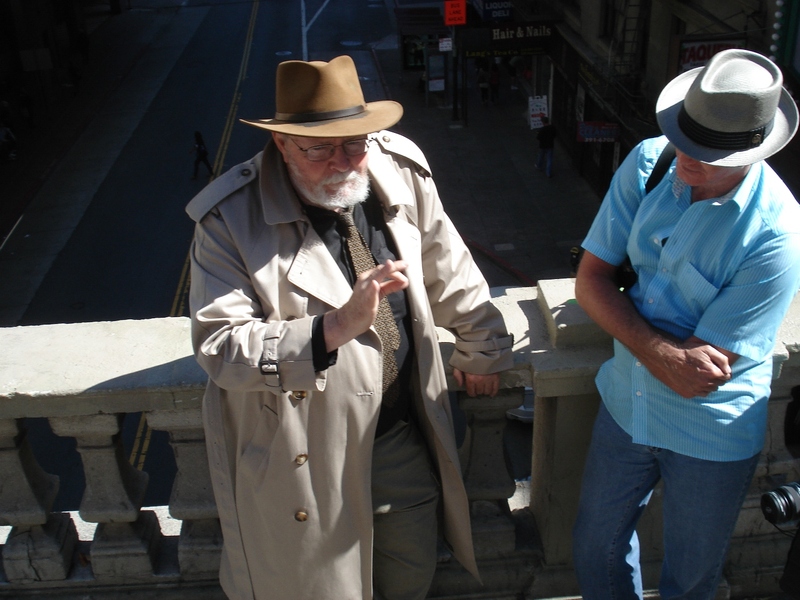 Image: Dashiell Hammett Tour perched atop the Stockton Tunnel, about to hike over to where Miles Archer got his. . . . Anyone who wants to show up clutching a $20 with four hours to kill —- no appointment necessary — can hit the mean streets on the tour on either Sunday April 9 or Sunday April 23. Rain or shine. The walk on April 9 keeps up the off-and-on tradition of doing a Palm Sunday Tour, in memoriam Charles Willeford. After a few years of my usual brooding and procrastination, I think it’s time to do a little revamp on my book Willeford for an eBook version. That’ll remind me, after it has slipped my mind for yet another month. This entry was posted in Tour, Willeford and tagged Palm Sunday Tour, Stockton tunnel. Bookmark the permalink.